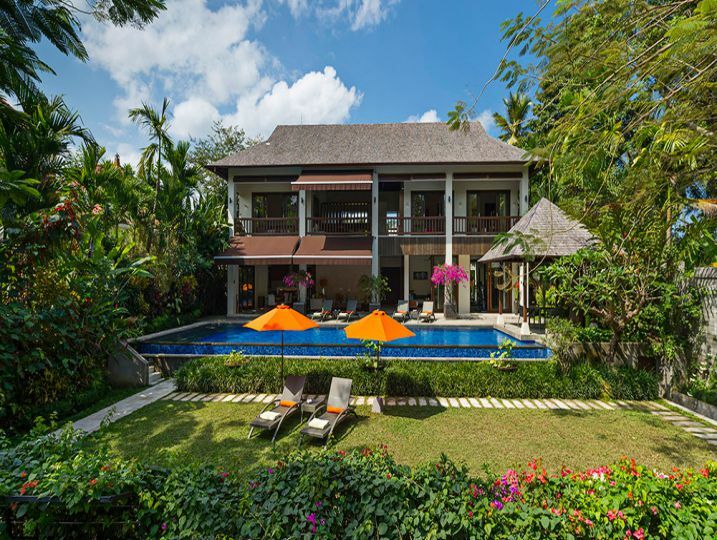 Villa Shinta Dewi Ubud rests on the edge of a tranquil village among verdant rice fields just north of Ubud. 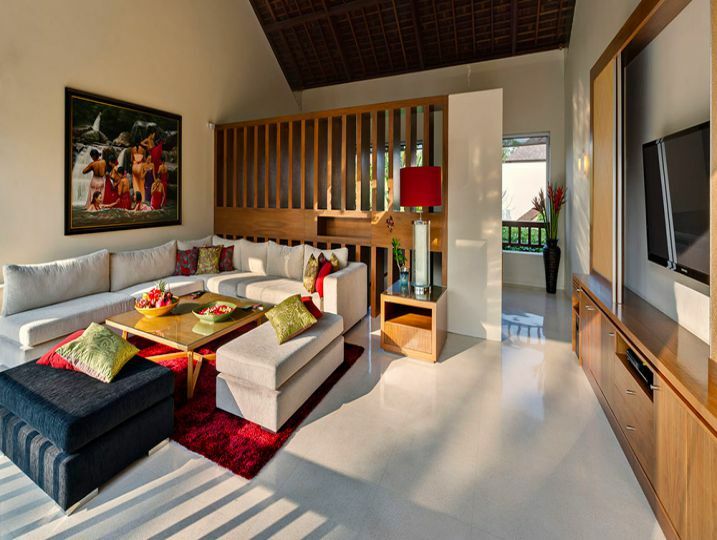 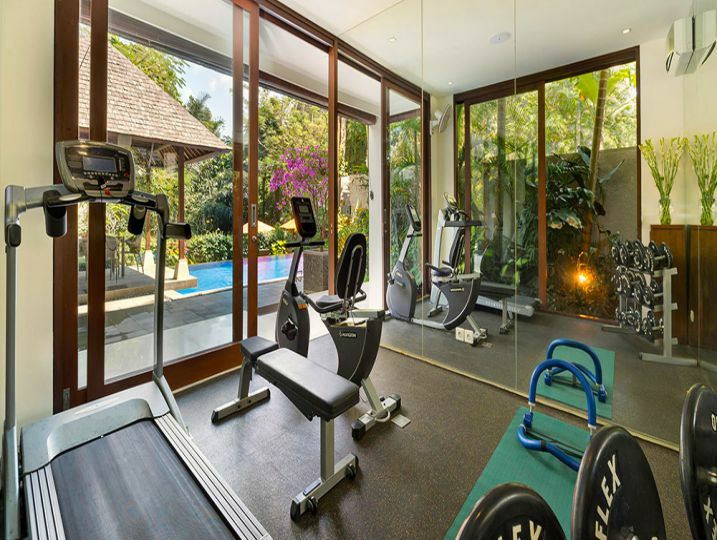 Lovers of Bali will appreciate this four-bedroom two-storey oasis close to the island’s cultural heart. 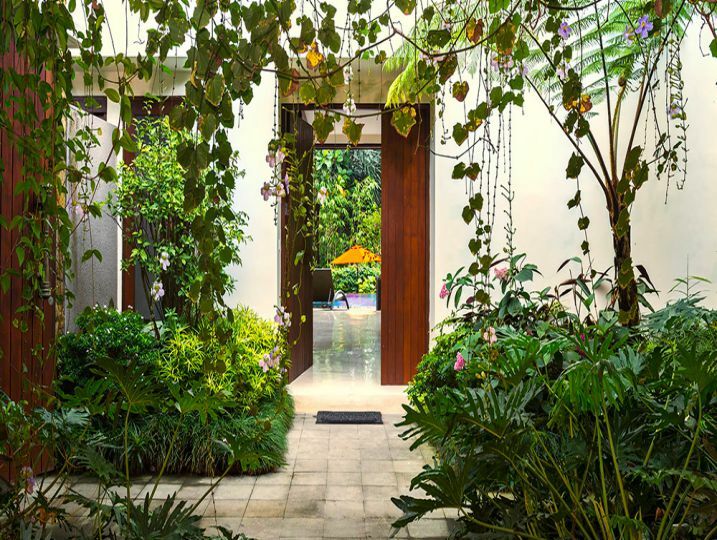 Set in a delightful tropical garden, terraced towards a small ravine, it offers peace, privacy and relaxing Bali-style indoor/outdoor living for up to 11 guests. 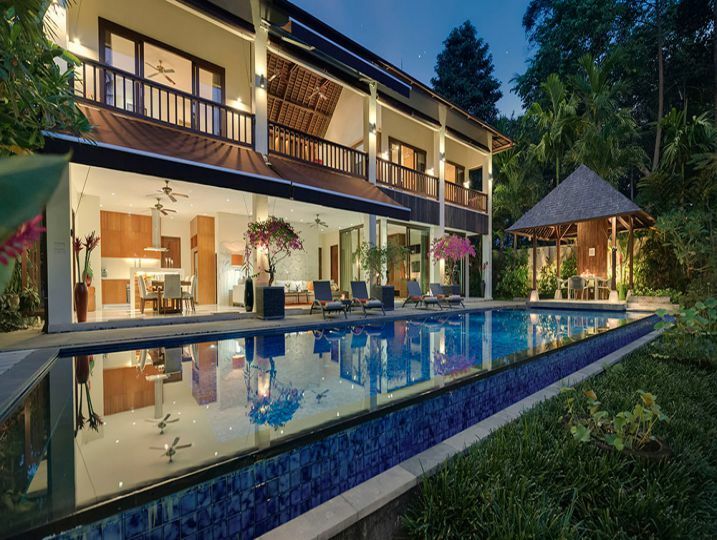 The villa has two open and breezy living areas, a dining area with open-plan kitchen (and service kitchen tucked behind), a poolside balé, large garden balé, alfresco dining terrace, and a gym with separate massage room – ideal for a large family (or a group of friends holidaying together) to enjoy without getting under each other’s feet. 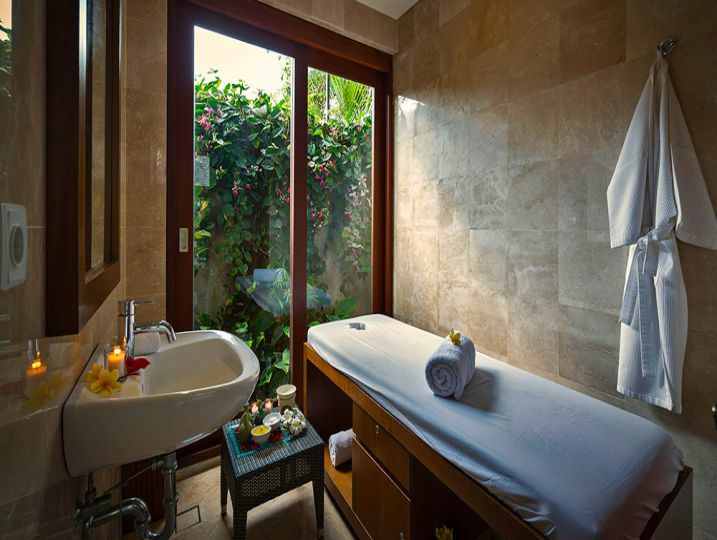 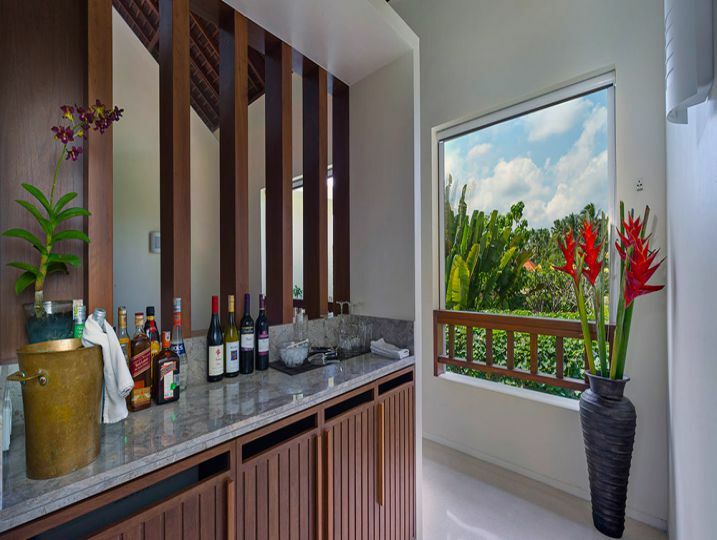 Shinta Dewi Ubud has been tastefully decorated by its owners, who have chosen top-quality furnishings and finishings – they holiday regularly at the villa themselves. 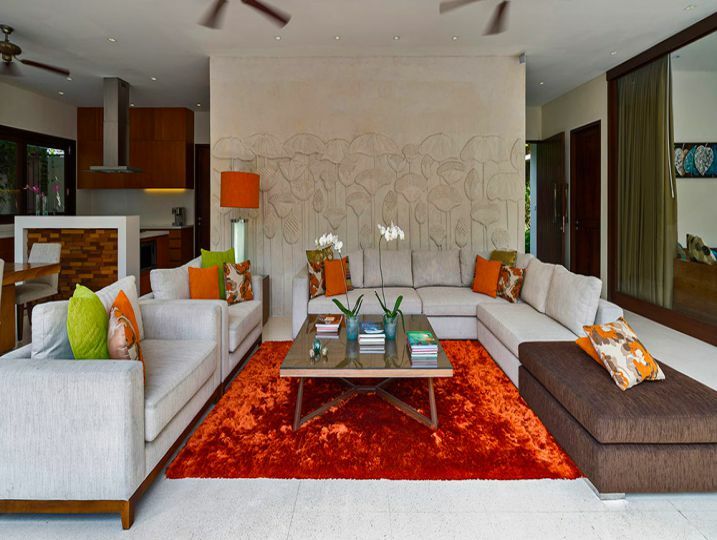 The décor takes inspiration from the archipelago, with a wealth of natural materials crafted by Bali’s master artisans and a vibrant tropical colour palette that picks out the Flamboyant trees, bougainvillea and heliconia in the garden. 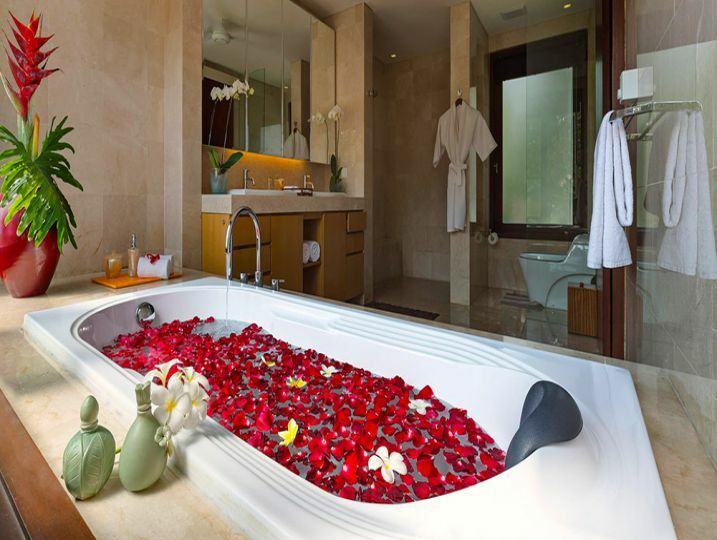 The attention to detail is also admirable –everything from top-quality mattresses and linen in the bedrooms, multi-channel Sonos sound system in the living areas, and Champagne and Martini glasses in the chef’s kitchen. 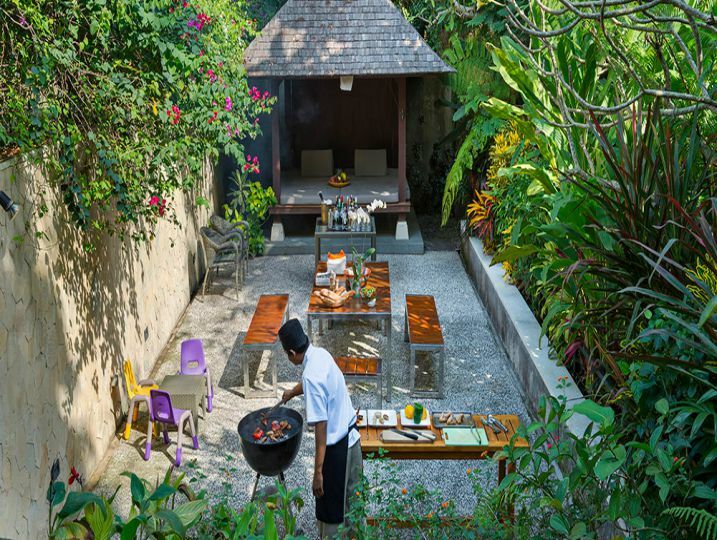 The friendly staff includes a chef and team of butlers to cater to their guests’ every whim, whether preparing sunset cocktails, a leisurely lunch or candle-lit barbecue (chosen from a reasonably priced menu), or arranging activities and excursions such as in-villa massages, batik classes and river rafting. 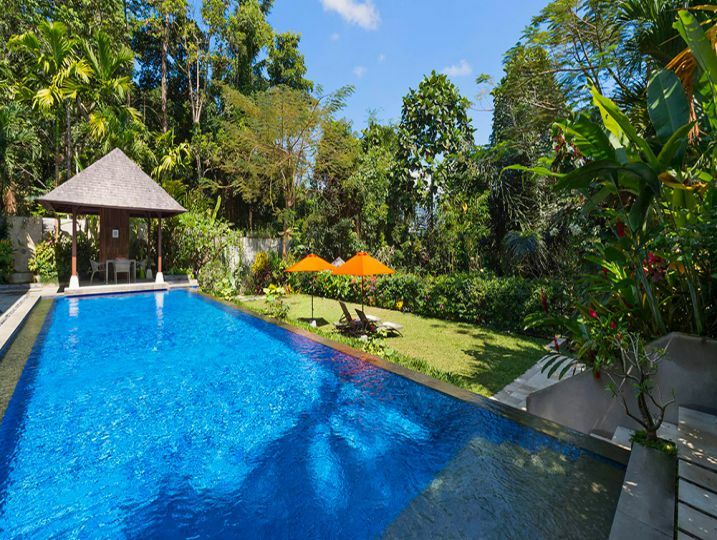 Guests also enjoy a twice-daily shuttle to Ubud, where an array of restaurants, galleries, boutiques, spas and cultural attractions await them. 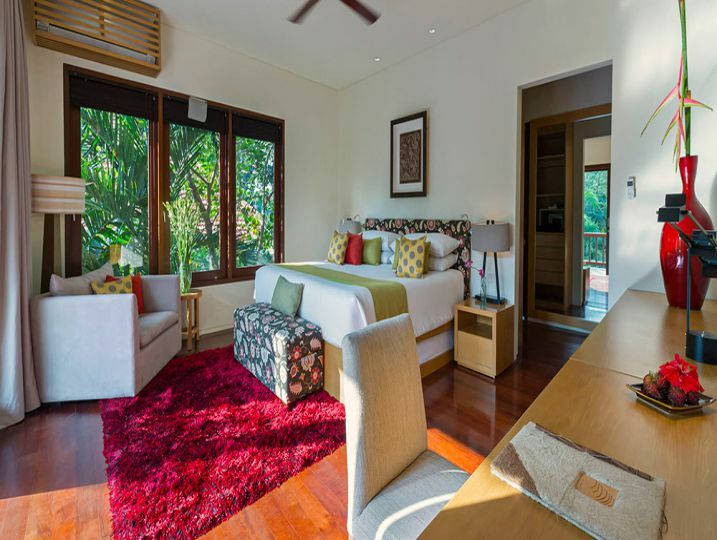 Shinta Dewi Ubud is normally booked as a four-bedroom villa, but for smaller groups there’s a three-bedroom option where the bedroom adjoining the living room can be converted to a TV room/study. 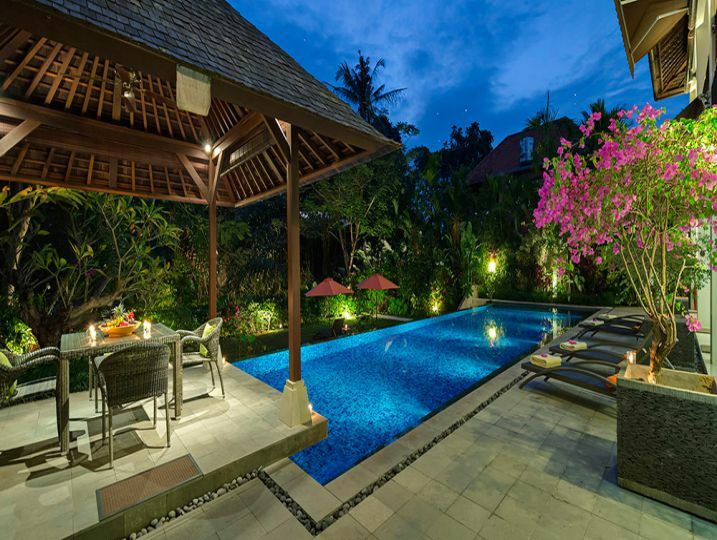 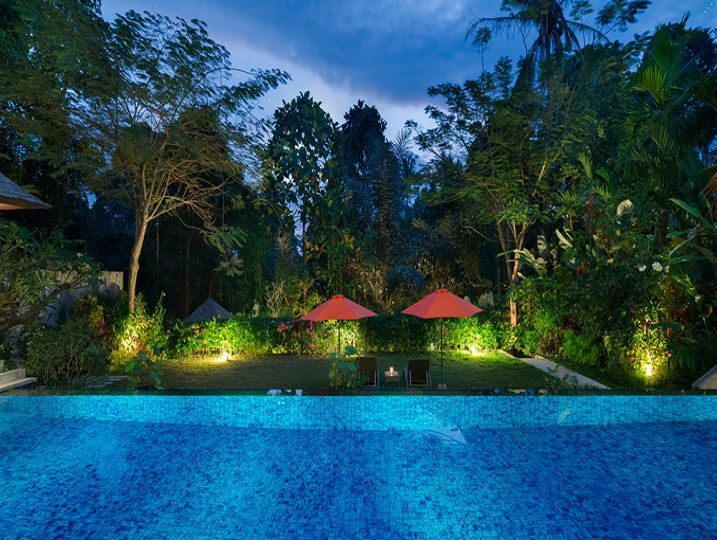 Villa Shinta Dewi Ubud – 3 Bedroom is available for selected dates.